It was a beautiful warm sunny day. The first day of Spring. 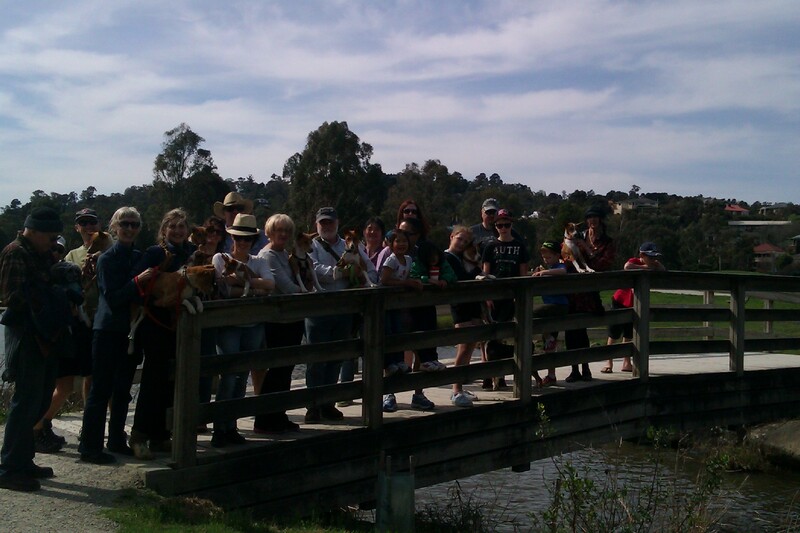 Members descended on Lilydale Lake for the Club’s Spring event. The event clashed with Fathers Day but in true Club spirit many of our members thought spending the day with their Basenjis and other club friends was more exciting than with their ‘other family’. In fact 22 humans with 12 Basenjis were present including 6 children all eager for the trek around the lake. This attractive and popular lake is a shallow (2 to 2.5m deep) flood-retarding basin located on Olinda Creek, south of Lilydale. The Lilydale Lake and Park were officially opened to the public in July 1990. The Park covers an area of over 100 hectares.